Sabine Januski (center), an educator at Six to Six Magnet School in Bridgeport, is the 2019 Teacher of the Year for Trumbull-based Cooperative Educational Services. At left is C.E.S. Executive Director Dr. Charles Dumais and at left is Six to Six Principal Anna Nelmes-Stoughton. TRUMBULL, Conn. – Sabine Januski, a seventh-grade Language Arts teacher at Six to Six Magnet School in Bridgeport, is Cooperative Educational Services' Teacher of the Year. Mrs. Januski, who started teaching at Six to Six in 2006, is now eligible for the 2019 Connecticut Teacher of the Year Award, which will be announced on Dec. 5 in Hartford. The native of Port-au-Prince, Haiti, moved to Stamford as a youth and graduated from Stamford High School. She then attended Sacred Heart University in Fairfield, where she earned a Bachelor's degree in English in 2004 and a Master's degree in Teaching in 2005. She earned a Sixth Year Degree in Remedial Reading/Remedial Language Arts from Southern Connecticut State University in 2016. "The best moments for me at Six to Six are days when students who are struggling ultimately persevere in their reading and writing work," Mrs. Januski said. "I like watching children grow as learners and thinkers in ways they may not have imagined." In addition to the classroom role, she is a former adviser for the newspaper and yearbook clubs, chaperone for various student trips, co-adviser of the annual seventh-grade interdisciplinary trip to the Metropolitan Museum of Art in New York, and organizer of a relief drive to aid victims of the Haiti earthquake. She has also taken part in various development programs to further her skills as a teacher, as well as serving as a mentor to fellow educators. Six to Six Principal Anna Nelmes-Stoughton described Mrs. Januski as a dedicated and selfless teacher. "Sabine gives of her time, energy, and effort constantly to make sure our students are successful," Mrs. Nelmes-Stoughton said. "She is a joyful collaborator with colleagues and parents in our school community. It is a privilege to work alongside her and learn from her masterful practice each day." Mrs. Januski lives in Bridgeport with her husband and daughter. Click here to watch the announcement during the C.E.S. Convocation. 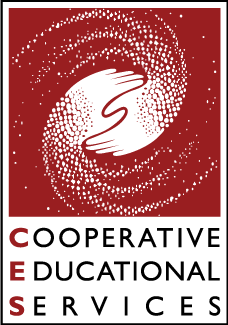 Click here to see past C.E.S. Teachers of the Year.